Are you looking for some company on your Christian journey? There’s nothing more powerful than a small group coming together for study, prayer, and good fellowship. St. Andrew by the Sea is encouraging small groups throughout lower Baldwin County, to meet a variety of needs. Young adults, for example, may be drawn to the Wednesday night circle that meets at our church. Or perhaps you’ll find a lively group of friends in your neighborhood. The group usually meets on Family Nights, Wednesdays at the church, starting at 6:00 p.m. Please join us for good conversation! Supper and child care are provided. Call Rachel Ellsworth for more information at 979-6972. St. Andrew Women meet for lively discussions, thanks to the leadership of Sue Buford. On behalf of the St. Andrew Women, Pauline Kerns gathers men and women who enjoy good food and good company. Sharon Everitt and other women meet regularly for games and fellowship. If these groups interest you, please call the church office at 251-968-3900, and we’ll gladly put you in touch. 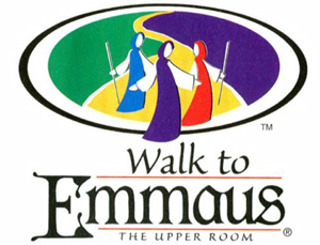 Several of our men and women have been on the Walk to Emmaus, a three-day spiritual retreat. In various denominations, it is also known as Cursillo, De Colores, and The Great Banquet. It's an experience we wish for you, too. Please click here or speak with Rev. Wood if you'd like to learn more.